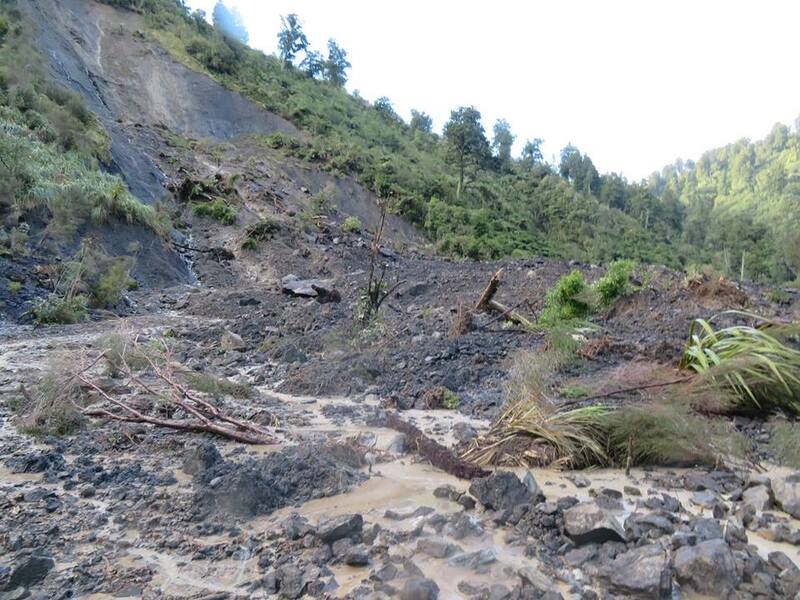 The recent rain in the Ruahines has shifted Diggers Hut.photos courteous of ben piggot and daniel mcintyre. At least there is no fatalitys? There has been more than a few in NZ history. Close the door, you're letting a draft in. The boys took some good pics & amazed she's actually held together pretty well really considering. I've never been to Diggers hut but knew a few guys who went there a lot. I used to spend a bit of time at the Forks hut a bit further south. She'll be pretty good for fishing trips now Dundee. Right on the water. 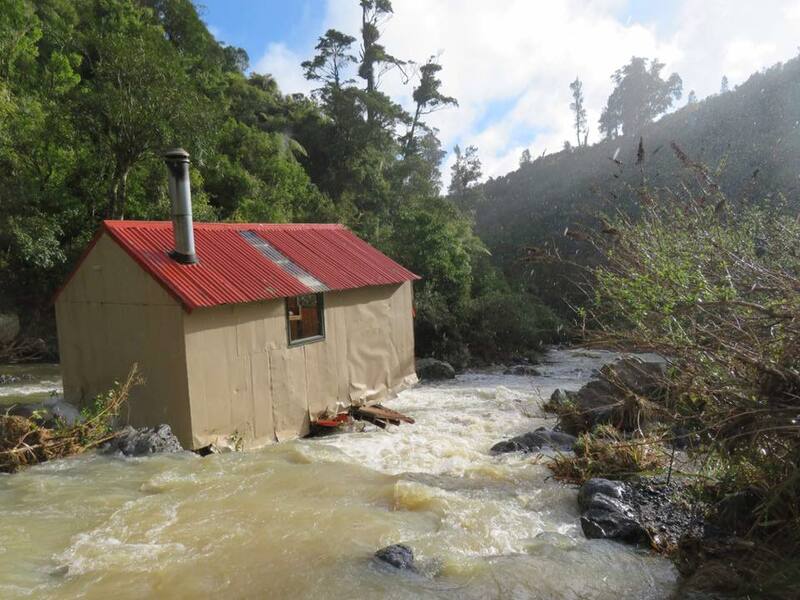 I've spent many nights in Diggers hut, and forks as a young fellow, doing an apprenticeship in PN, was my main hunting grounds, Hut never was, very high above the creek, bit disheartening see photos of the hut like that. I wonder if that fresh slip behind the hut, had something to do with it. Yea it's an awesome place and such a shame to loose such a great hut. Diggers and Forks is my main hunting area. I wonder what caused that? - it must have been there for many years. A DOC picture shows it on what seems to be a nice site. 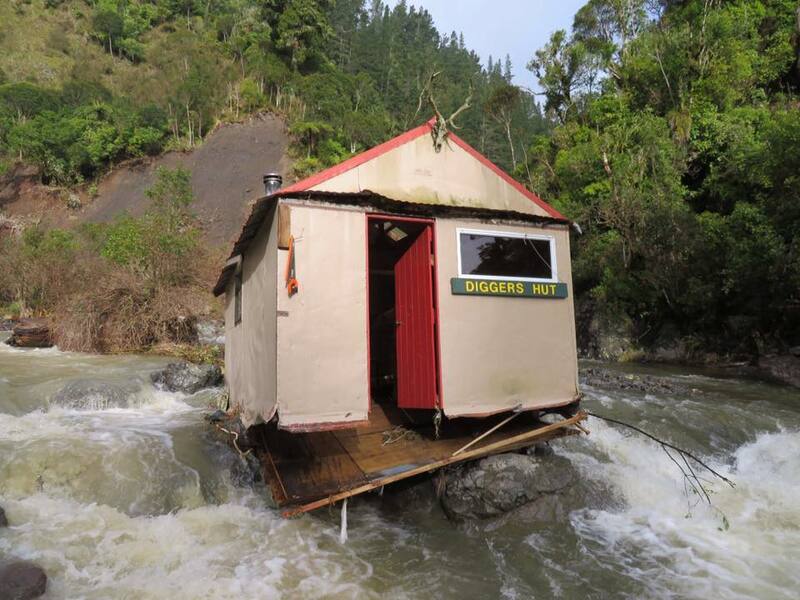 I wonder how much DOC charge for the waterbeds in the hut? It's the only doc hut with a flushing toilet. Another photo that the lads took.Changed the water course.